Enslow has just published a new series on the Civil Rights movement called The Story of the Civil Rights Movement in Photographs. This six book series is written for the middle school reader using primary source photographs, with text boxes and captions supplementing the images. Author David Aretha examines this critical time in American history. 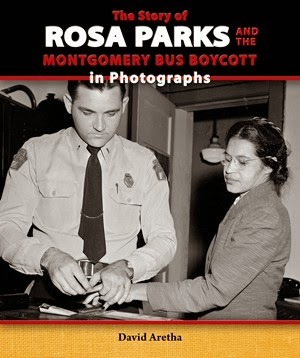 Each title covers a different topic: freedom rides, the Montgomery bus boycott, voting rights, the civil rights movement in Birmingham, the Little Rock Nine and school desegregation, and the march on Washington, D.C. for jobs and freedom. All of these titles are available in library, paperback, and eBook formats. They are available from your preferred vendor, local independent bookstores, enslow.com, Amazon, and Barnes and Noble.